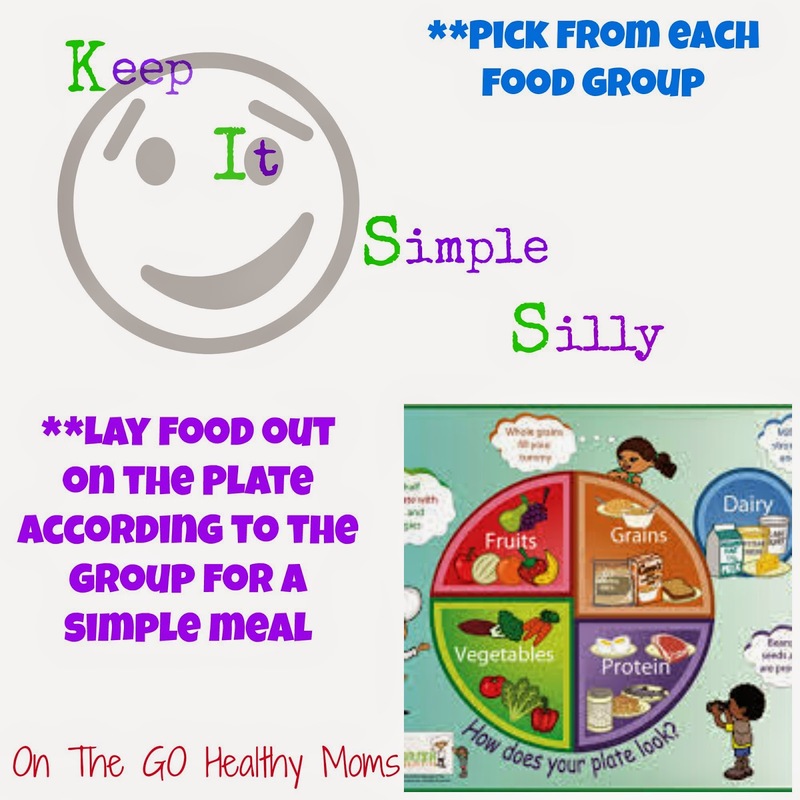 This post is written by Melissa from On the Go Healthy Moms, health/fitness contributor. Who get's in the rut of what to put on the table for your kids and wanting them to actually eat it? Well you are doing a great job if you expect them to try a different food, but understanding that kids don't always like a new food. I have found it best to tell them they have to at least try it. I also get stuck in the rut of just making what I know they will eat, and sometimes that isn't the healthiest choice- Mac N' Cheese here we come. But I have some tips and healthy meal ideas for you to take some stress away. Pick a food from each Food Group- Fruit, Veggie, Protein, Grains, and Dairy. Kids like to be able to choose, but let them know that you can take turns choosing and they need to pick something they haven't tried before. 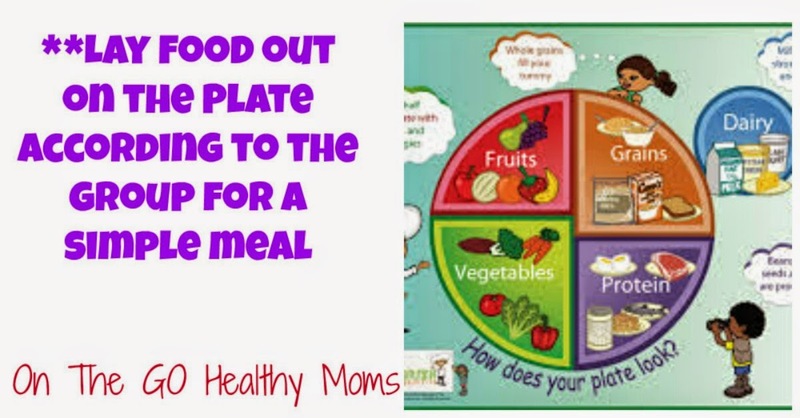 Lay the desired food out on the plate according to the food group. This way they can see the different food groups which helps them learn what is important to eat each day. Make it fun! Cut up food, sandwiches into different shapes. Here are 3 Healthy Meal Ideas for kids, that even Mom's will love to eat! What are your favorite healthy meals for kids?